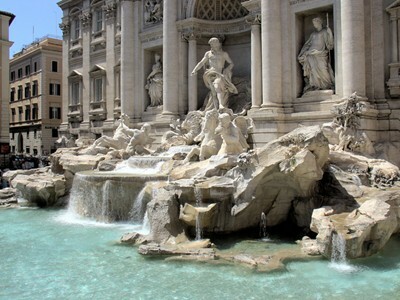 "In the maze of narrow, meandering streets, Rome hides a sparkling jewel held to be a triumphant example of Baroque finesse and the natural artistry of water- one of the world's most stunning fountains and a work of art in one. Trevi is not just a cold piece of marble. The play of light, shade and wind makes it move in a mesmerizing rhythm that the hypnotized public yields to subconsciously, and even if a tight agenda draws them away for a while, they go to all lengths to see the astounding spring once again." 82 people want to do this. 98 people have done this.